Rare find 26 acres bordered 3 sides by National Park and Forest. Meticulously maintained fully furnished, full-log, open floor plan intimate, yet spacious. Stunning 2 story great room, kitchen, covered deck enjoy magnificent views over Wild Basin and the Divide. Concrete walk out basement ideal for bedroom/bath expansion with views. Easy 1 mile private road access from highway 7. Pond with 5 acre-foot water rights fed directly from RMNP. 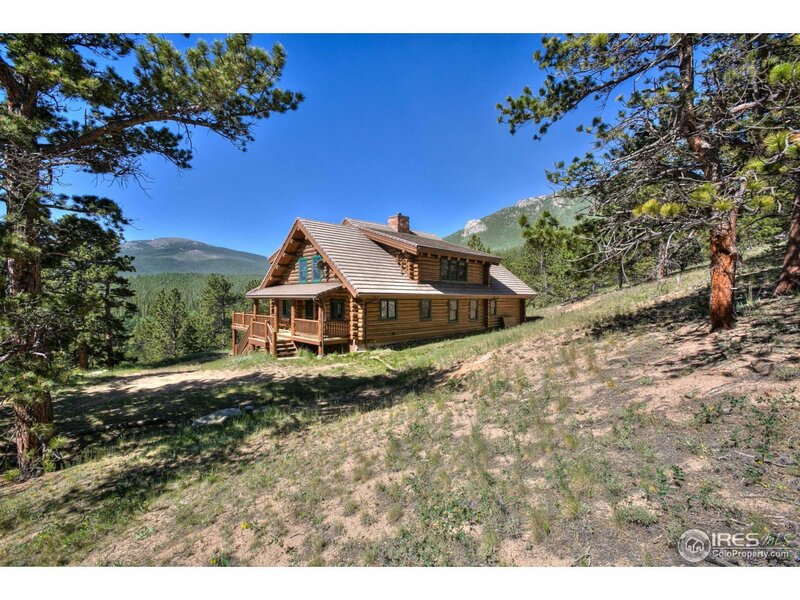 A protected, secluded haven 20 minutes from Estes Park.